Gaming can be a stressful old affair. Many a time I have thrown a controller across the room, or cursed the gods of gaming and raged how unfair the developers are and how they should patch a game RIGHT NOW, at least if they know what’s good for them. Then there’s the time when you get stuck with a puzzle platformer, ensuring you are left to repeat the same thing a thousand times like a madness. Sometimes you learn and get through, but there are other moments when you question the direction you’ve taken in your life. Shape of the World is the perfect antidote to all those moments. It’s about the journey, and the calm and serenity that can happen in gaming. My blood pressure has lowered since playing it and I will try to tell you why. 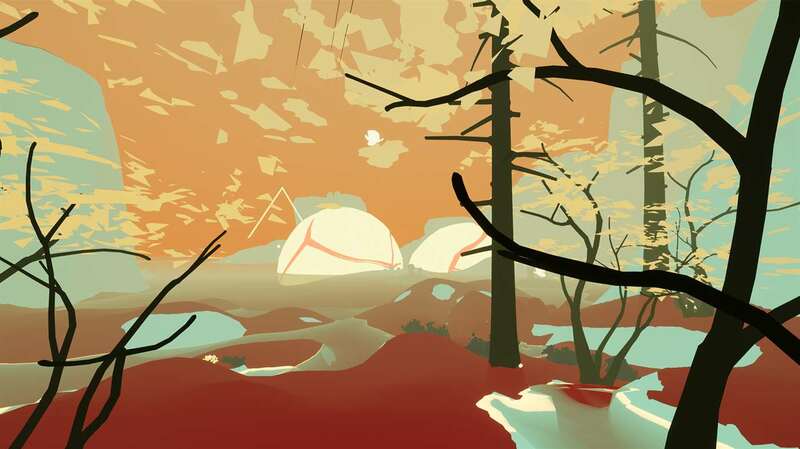 Shape of the World is a kind of walking sim/1st person exploration game that takes you on a serene journey through an ever-changing world and landscape. You move across the environment and interact with all the creatures and fauna that come onto your path. But nothing is going to kill you, and there are no ways for you to die or get into any kind of trouble. There is no ticking clock or set route you have to follow… it’s up to you to take your time as you head towards mysterious triangle things in the sky. Every time you go through one of these glowing triangles, the atmosphere, colour, and entirety of the world changes, feeling like one that is being newly formed around you as you stroll. Fauna pops up all around like it’s just been spawned and weird wonderful creatures populate the world; expect to find giant sea creatures, massive snails and little oddities that will stay with you for a while. Every now and then you will encounter huge monoliths shaped in stone circles and by interacting with these, you’ll find a magical stairway appearing to take you further into your journey. My advice is to not rush through the world and instead take your time in this beautiful unusual place, as everywhere you look a little surprise and piece of wonder will be waiting. The gameplay itself is very simple, mainly because it’s all about exploration and discovery. Apart from walking and interacting, there is a delicate jump and you can collect seeds along the route; it is with these seeds with which you can grow more trees and fauna. You can also interact with the many creatures that you encounter on the way – some will run away, others will glow mysteriously and some will bounce you off them. If you’re looking for something beautiful, calming and relaxing then Shape of the World is the game for you. I personally loved my time in this amazing ever-changing world and really just enjoyed taking in the exploration and seeing what is around every corner. I do know though this isn’t going to a game for everyone though, as there isn’t much to do and the gameplay isn’t high octane enough for certain breeds of gamer. But if you do like this kind of thing, you’ll find your jaw dropping open as you watch and admire the imaginative world fold out before you. There isn’t a narrative to speak of, but your mind starts to imagine a whole host of stories as you progress along the path, and you’ll be rewarded with achievements for multiple playthroughs. 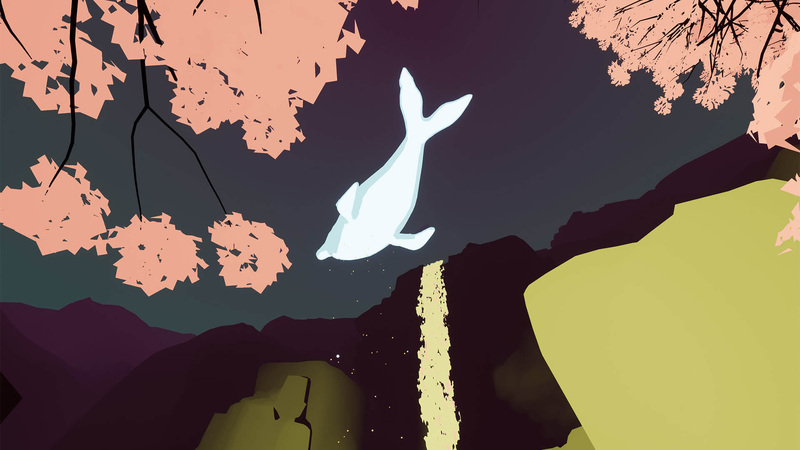 This is a game that has been designed as something you can relax with, allowing you to complete it as many times as your stress-busting needs require. Visually and Shape of the World looks great. 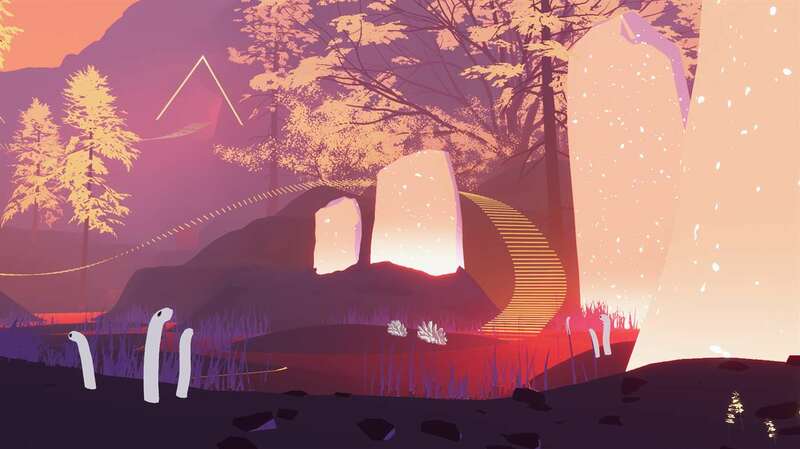 The world design is a mixture of Journey and No Mans Sky with a stunning world that is strange and unusual, but ever so familiar at the same time. The way the atmosphere and landscape change when you go through a triangle gets me every time and the end level is epic in scale. Again the soundtrack is up there with one of the best gaming scores I’ve listened to; calming, but epic in scope and it seems to respond to what you are discovering perfectly. Shape of the World won’t be everyone’s cup of tea, but if you’re into exploration/walking sims then this is a must purchase. I do think that if it was just a bit cheaper then it would help the curious folk to take a bit of a punt, but if you like this kind of thing, you’re in for a treat – just like if you’d been taken to a luxury spa, and thrown in a flotation tank to ensure all the real world troubles are taken away. Now excuse me, it’s time to go back to FIFA and start throwing my controller across the room again.